Clouding Agent: The clouding effect is obtained from fractions of oils with a neutral a flavour as possible. Citrus oils are the most widely used; vegetable oil is used, but less common due to poor resistance to oxidation. Stabilisers: The emulsion is stabilised with gum, typically gum arabic. Weighting or Densifying Agents: Added to prevent “ringing.” Originally Brominated Vegetable Oil (BVO) was common, but its use is now restricted. Typically resin gums such as damar gum are used. The gum (stabiliser) and any other additives would be dispersed into water to form the continuous phase of the emulsion. The citrus oil or other clouding agent is premixed with the weighting agent, added to the vessel and mixed to form a pre-emulsion. 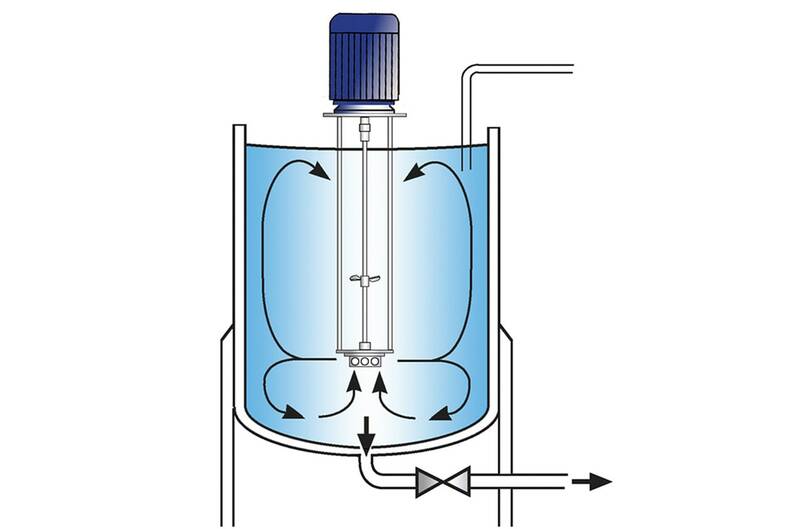 The pre-emulsion is then passed through a high pressure homogeniser to obtain the required globule size. Powders must be added at controlled rate to reduce agglomeration of particles. Agitation of the solution and dispersion of powders becomes more difficult as the viscosity increases. Obtaining full yield of stabilisers is difficult using traditional methods. 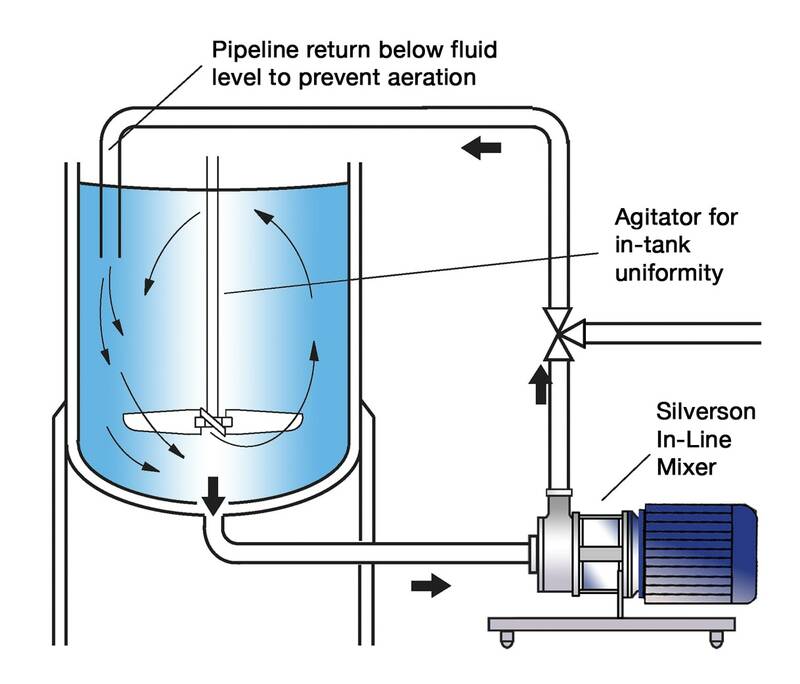 The net result of conventional mixing is the product having to be passed several times through the high pressure homogeniser to obtain desired globule size. The vessel is charged with liquid and the mixer is started. The powdered ingredients are then added. The high speed rotation of the rotor blades creates a powerful suction which draws the liquid and powdered ingredients into the workhead. Centrifugal force drives the materials to the periphery of the workhead where they are sheared in the gap between the rotor and the stator. The product is forced out of the stator and projected radially back into the body of the mix as fresh ingredients are drawn into the workhead. The oil phase ingredients are added to the vessel and an emulsion is rapidly formed. In a short mixing cycle all the material passes through the workhead, progressively reducing particle/globule size to produce a stable, fine pre-emulsion. 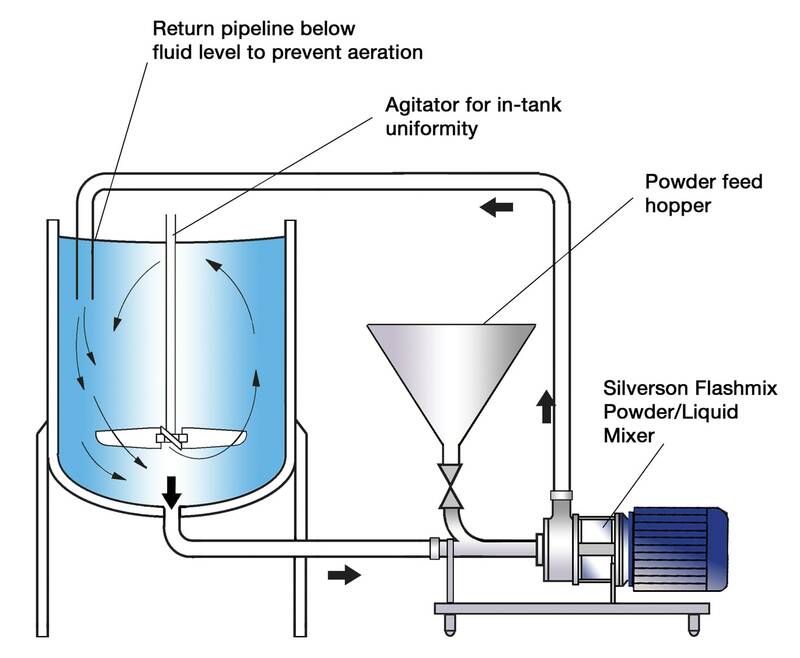 After processing with a Silverson mixer, a single pass through a high pressure homogeniser is normally sufficient to achieve the required globule size in the end product. The high pressure homogeniser can be eliminated in some cases. Typically a globule size of down to 1µm is achievable.